Since 1992, guests have enjoyed the beautiful scenery of Lake Washington and the Eastside. Soak up views of Mt. Rainier, luxurious waterfront homes of Seattle's rich and famous, and the world's longest floating bridge on this live narrated cruise. Don't forget your camera for this one! 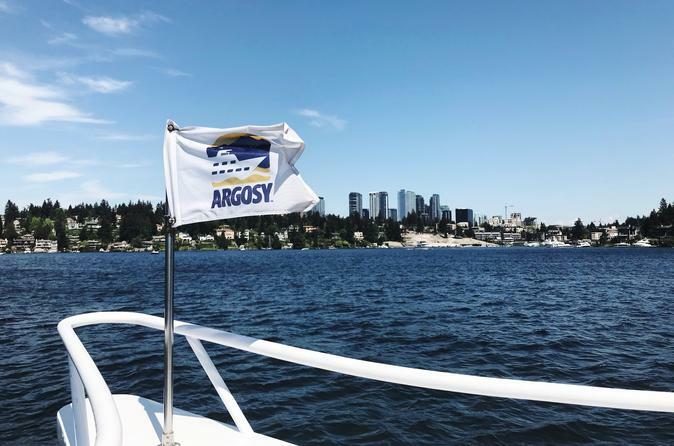 Meet us on Lake Washington in Kirkland for an afternoon on the water. During this 1½-hour narrated cruise, you’ll learn the history of the Eastside and Seattle neighborhoods bordering the lake, hear of the hidden forest beneath the water, cruise past magnificent lakeside properties, including Bill Gates' home, and catch outstanding views of Mt. Rainier and the Cascade Mountain Range as you relax and enjoy one of the world’s truly beautiful urban lakes. A full-service bar available on board for the purchase of specialty cocktails, local wine and beer, non-alcoholic beverages, and snacks. This cruise is seasonal and operates from late April to end of September.